This is a Sponsored post written by me on behalf of ALO Drink for SocialSpark. All opinions are 100% mine. Today I have for you another drink recipe. I told you with my dentist visit this week I would be posting drink recipes. I am seriously on the liquid diet. So for today’s drink I have something unique, something new and something that really impressed me. It’s my Mango, Pineapple and Aloe Smoothie. Yes, you read that right, Aloe! This drink is made with ALO Drink. A drink that comes from an organic aloe vera farm and is made with real aloe vera pulp, straight from the leaf, never from powder. Additionally, ALO is low in calories, gluten-free and fat free! Score!!!! Plus ALO Drink is the first Aloe Vera beverage to receive NON-GMO Project Veriification. You can get mor einformation here. I have to say I was a little leery of trying ALO Drink, because well I never drank Aloe Juice. But you know what, I was impressed. It’s light, refreshing, fruity and delicious. The only thing is, if you don’t shake it will you will get a little pulp of aloe, which didn’t bother me. 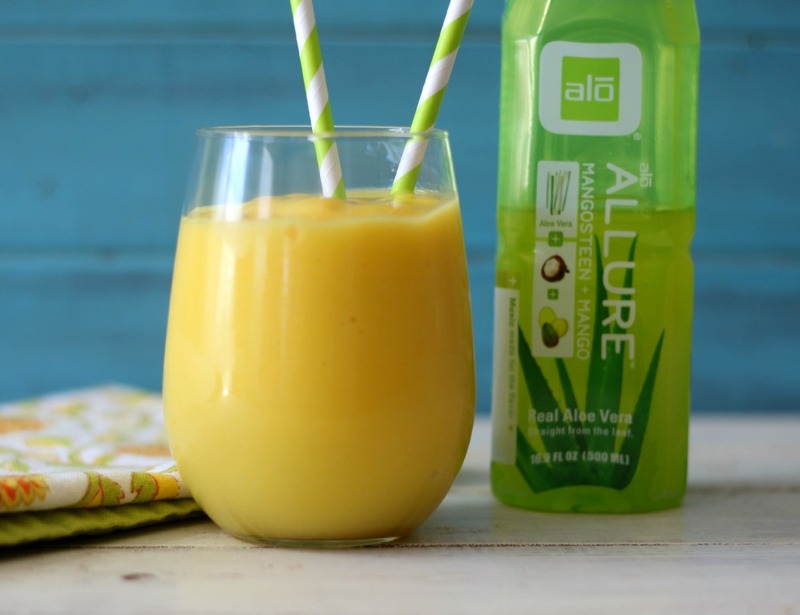 The ALO Drink is also low in calories, which is a win, win! 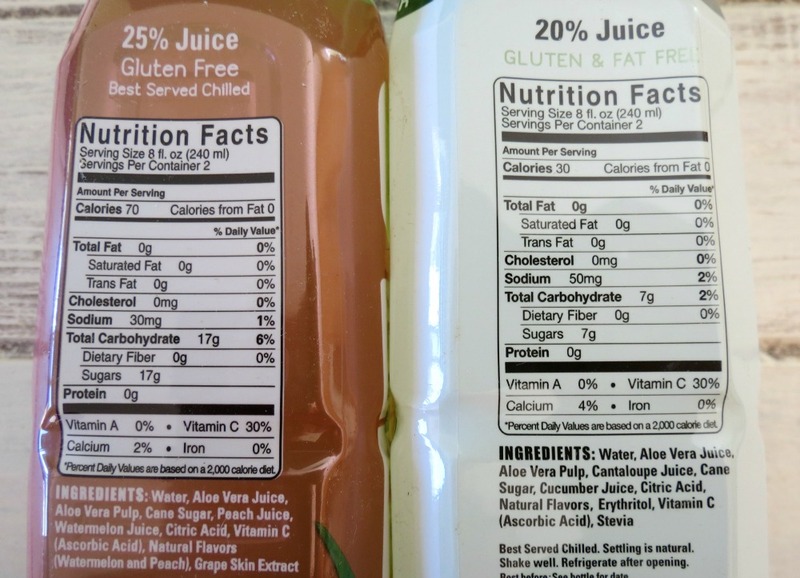 Here is are the nutritional stats that I took from the label. One is original and the other is light. I have to tell you my smoothie is light, refreshing and perfect for quenching that summertime thirst. 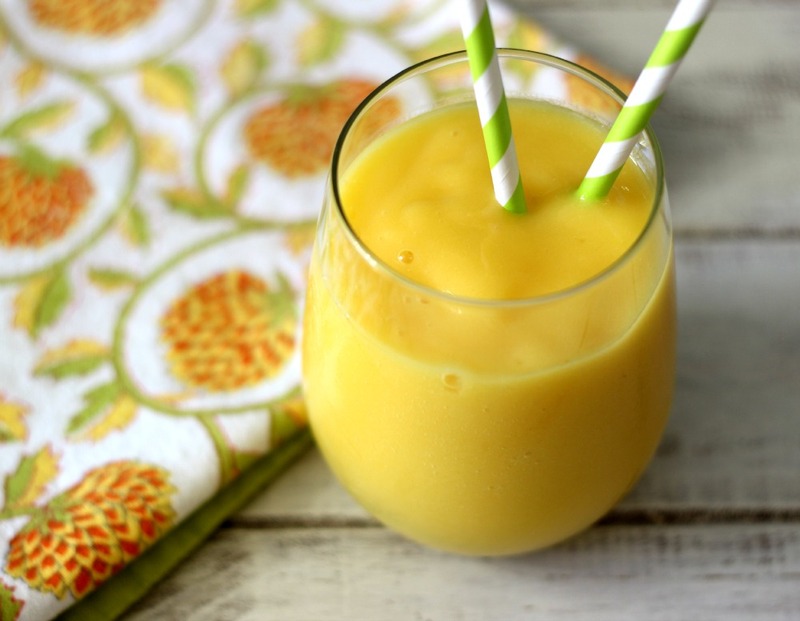 It’s sweet, with a hint of peach, lots of mango flavor and a hint of pineapple. Yummy! I have to say I tried a few of the ALO Drinks and my favorite is the Mangosteen + Mango. But I am partial to the anything mango, but I think you know that! Did you know that ALO Drink also comes in 9 original flavors, 3 light flavors and 2 Coco Exposed flavors, which is made with coconut water. So there is a flavor for everyone! Plus ALO Drink is also made with healthy ingredients like fruits and vegetables to help fuel your body inside and out. Here are a few of the flavors that I tried. 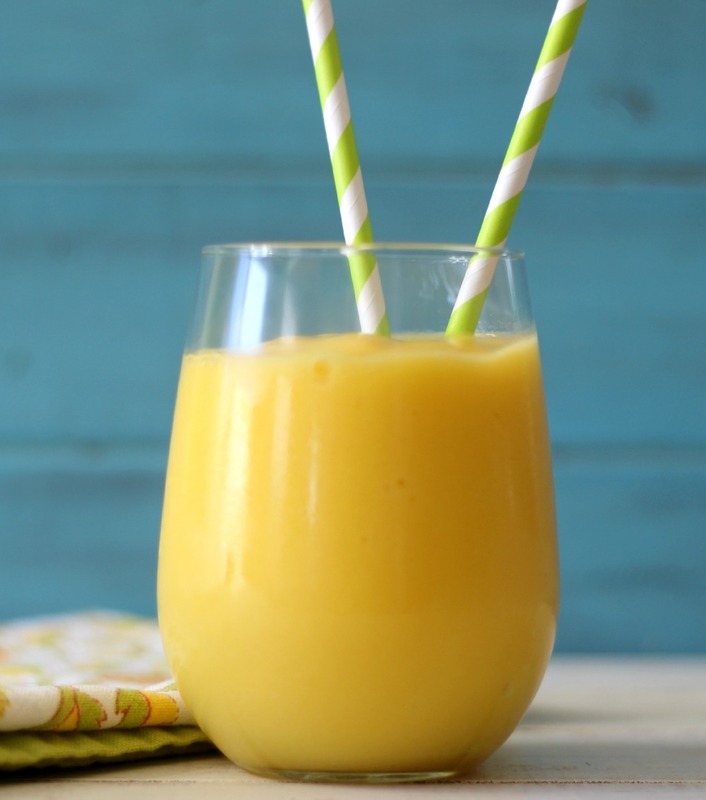 A light, fruity, healthy drink, made with mango pineapple and Aloe Vera. I have a little You Tube video that explains more about ALO Drink and why it is so healthy and how it’s made. Check it out, it’s a short video! 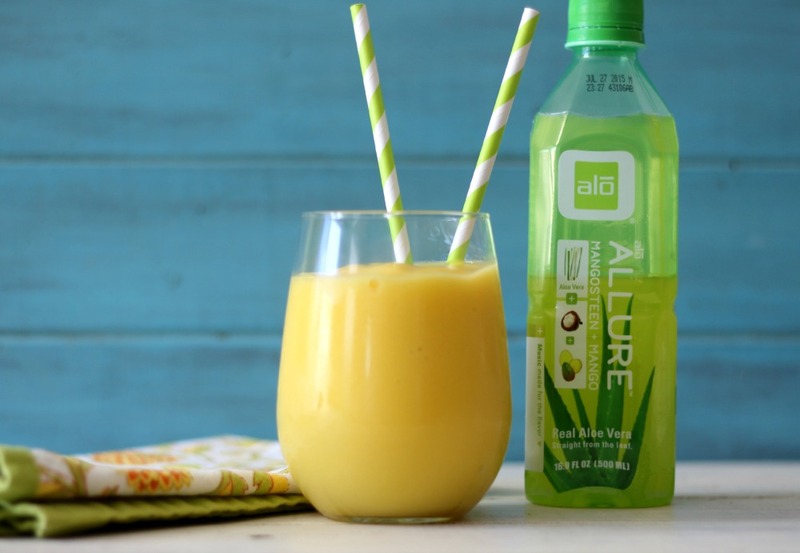 I also wanted to tell you that ALO Drink is having a Facebook ALO Contest (US residence only)! The promotion is called ALOVE and is a photo contest. A winner is selected every weekday until July 11, 2014. Each winner receives a sampler pack of all of the current ALO Drink varieties, giving you a chance to try a great product and try my recipe! 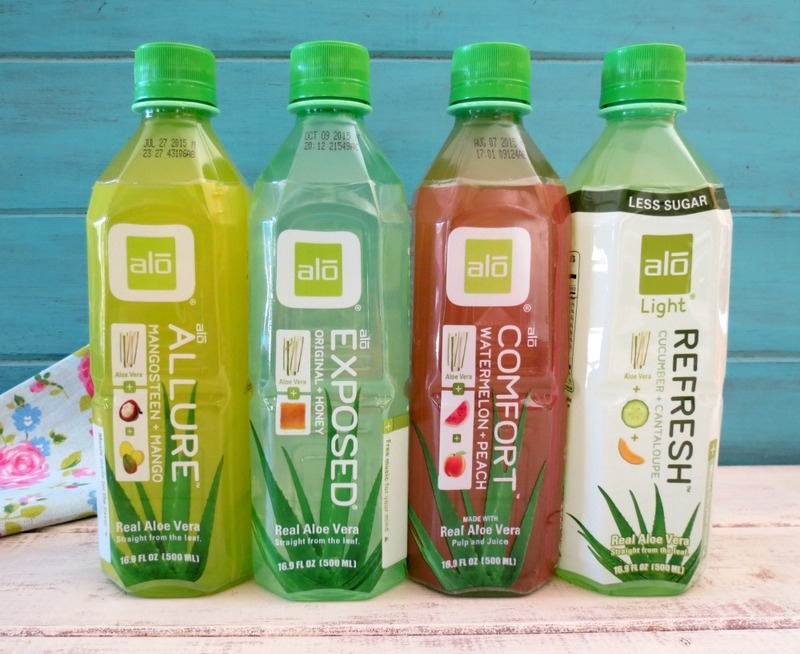 If you have never tried ALO Drink or don’t have access to ALO Drink products in your area can enter by simply writing down why they want ALO to send them a sampler pack on a piece of paper and take a photo of that. Fun / creative drawings are welcome as well. Visit the contest tab on the ALO Facebook. Well my Friends, time for me to get going! I hope you have a great day!